Fife Athletic Club caters for runners and athletes of all ages from nine upwards, and abilities: from the complete beginner, to the recreational runner who just wants to keep fit, to athletes who have represented both club and country at international events. 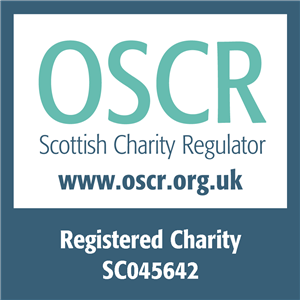 Fife AC is a charity registered in Scotland, No. SC045642. Fife AC was formed in the early 70's from the amalgamation of several clubs in North East Fife. In the mid 80s Fife Southern Harriers dissolved and were integrated into the current Fife AC. Geographically, it is a widespread club taking in Central and North East Fife, with training groups in Kirkcaldy, Glenrothes, Cupar and St Andrews. The aim of the Club is to promote all aspects of athletics - track and field, road, cross country, trail, ultra and hill running - throughout the age range, to both sexes, and for all standards including the Disabled. As well as organizing coaching and training, Fife AC promotes many events, over 30 per year at the last count, including the largest hill relay race in Scotland and a series of local races. Fife AC also has a policy of hosting National and District Cross Country Championships. The Club has about 380 members, all automatically registered with Scottishathletics. According to the SAL Membership database it is the 3rd largest club in Scotland. New members are always very welcome. Fife AC gained the Scottish Athletics Foundation Award in June 2013, and the Podium Award in October 2013. Fife AC was incorporated as a private company limited by guarantee, number 494517, in January 2015. Fife AC is a charity registered in Scotland in May 2015, No. SC045642.